I've been a member of FHF since 2007. It's been a minute since I've logged on and discussed herping with everyone, especially since the great deletion event of 2012 or whatever it was. I also noticed that the local chapters have all been deleted and I am a little disappointed, as I was looking forward to posting this in the Northwest chapter. Anyway, I just graduated college and went to the gorge and was totally skunked when I searched for L. Zonata. I was wondering if there were any northwest guys out there that would want to collaborate and maybe check the place out soon. I also noticed that the local chapters have all been deleted and I am a little disappointed, as I was looking forward to posting this in the Northwest chapter. Yup! Its a bummer. The old posts do exist if you search for them but the structure of the regional chapters has been collapsed. There is nowhere online for regional herping forums in the USA anymore. I've pondered setting up some regional herping chapters as sub-reddits on reddit, then making a regionalherpforum.com site that just organizes and links to the various sub-reddits. Recruit a few moderators for each sub and just start from scratch. It would be a more mobile friendly experience to boot. 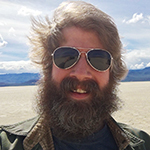 No hosting overhead with upgrading/managing aging BBCode self-hosted web applications -- just make it "somebody else's problem", that is the way of hosting on the cloud! I'm also in the Seattle area too! 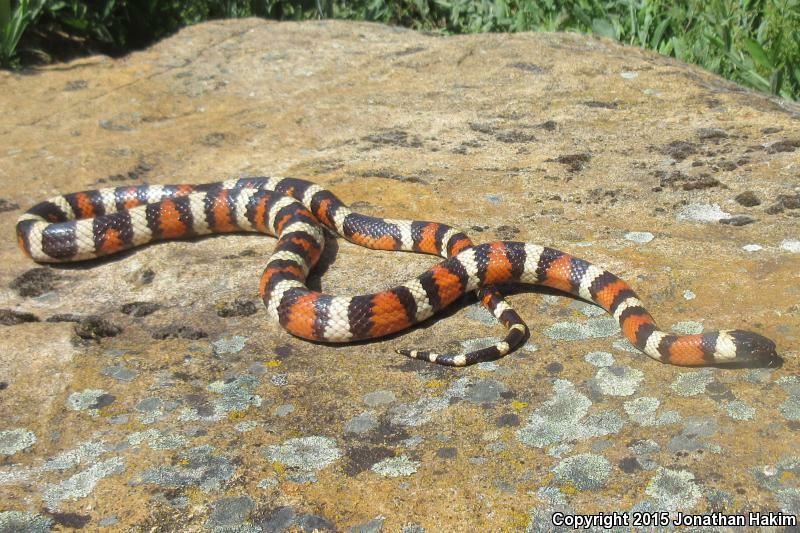 I am not an expert at finding california mountain kingsnakes. With Zonata being a protected snake in a no-handle state I'm hesitant to point any stranger to any specific locations. A few sites I know about were revealed to me by herping friends with a great amount of trust and these sensitive sites can't be outed by me. I don't mind giving gorge Z's a little space in their limited known habitat. I'll go for whatever in-situ shots I can get and avoid brandishing a hook in the popular park where they are seen (multiple trail cameras and I'd expect an occasional ranger). I cruised a twitching DOR Z a couple years ago near there, but getting skunked on Z is the norm. I enjoy looking for out of range animals and think the more rewarding Zonata hunt is outside of their known range. I made an amateur video that briefly describes my encounter with Zonata in Hood River as a kid in 1984. Sorry about the quality. I've made 2-4 trips to the gorge per year over the last 4 years and I try and spend some of that time looking for Z's out of range in northern Oregon. The great tri-color wild goose chase! I think the Mosier/Dalles/Hood River areas still could be a possibility, however I have not heard of any new Z reports in northern Oregon since that 2012 lawnmower snake. There are other herpers that have been chasing northern OR and WA Zonata for years (one fellow for 4+ decades!). If you talk to locals and enough Zonata hunters you'll hear of a lot more unconfirmed reports. As for Washington I've been told of unconfirmed reports in the Yakima area (though sovereign Yakima nation land access limits my access), going up in the Yakima River Canyon, and just this year I heard through another herper of an unconfirmed report even further north than that. Its just about time to start surveying some of these sites too. I'll point a few public herping events for anyone in Washington looking for something to do. FYI, this has nothing to do with Zonata! Get Intimate with the Shrub Steppe (GISS), held by the Kittitas Environmental Education Network (KEEN) near Ellensburg. Dr Dan Beck and the CWU Snake Team are awesome! I did do a video of the event last year which also included some footage from GISS 2017. Saturday May 11th 2019, this is the exact same day as the Seattle Metro Reptile Expo (https://northwestreptileexpospdx.com/). NOTE: Dr Dan Beck has a scientific collections permit to legally handle this rattlesnake and years of experience tubing them -- I don't encourage tubing rattlesnakes. DNR Biologist John Rohrer did confirm in an email there will be a Methow Valley Snake Survey this year. This will be the day after GISS, on Sunday May 12th 2019. The meeting location and time haven't been clarified yet. I will be at both GISS and the Methow Valley survey this year so long as the weather is good. GISS has been forced to cancel their snake hikes in previous years due to being rained out/unforseen circumstances. If we meet, maybe you'll earn more trust in time, in which case I might involve others in collaboration on some out-of-range Zonata projects. However, I'm hesitant to point any herpers at Z sites in their core habitat in Washington unless there is a lot of trust. Better luck on your next trip to find them! If you are interested in other reptiles there are a few places in western/central washington I could show you on a warm sunny day. I spend a fair bit of my time in the dryer parts of the columbia river basin. Matt Dagrosa found one crossing the trail while he was doing BLM trailwork about 3-4 years before that. He didn't get a pic but I 100% trust him. Of course, they were a good 250 miles south on the Oregon side of the river but who's nitpicking the details?